A Royal Baby Union / ClaimedSecret Royal Son / Expecting the Prince's Baby / Secret Prince, Instant Daddy! 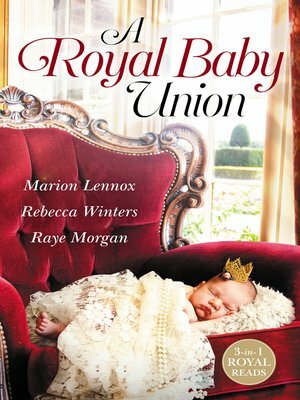 When Abby Loretto became surrogate mother to the Mediterranean's premier royal couple, she didn't expect Prince Vincenzo would suddenly become widowed. Now pregnant Abby quickly becomes the focus of Vincenzo's hope; she is his baby's mother...but to stay that she must become his wife! It's bad timing to say the least! But now he must put his daughter first, and make room for her and her beautiful, impulsive aunt Ayme on his journey home. Soon sparks are flying between David and Ayme...David's journey to becoming a prince isn't going to be simple!